The betting market is rapidly changing, and lots of new platforms are built every year. 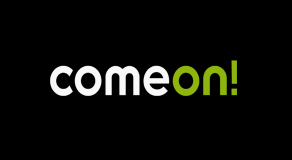 Among the new online bookmakers, ComeOn is one of those that stand out. Let’s find out just how much you can enjoy the betting and gaming experience on ComeOn. ComeOn! was established in 2009 operated by the Come On Europe Ltd. It’s regulated by the European Union member state in Malta. Though this bookmaker brand is relatively new, it has managed to earn a lot of loyal players. This gaming site offers poker table and other cutting edge casino games along with a sportsbook with big markets. Their bonuses are also good. As a bookmaker, ComeOn! boasts about being straightforward, simple, and having the highest European standards. You can see evidence of these on their website and mobile app. Step 1: Go to their website: www.comeon.com. Step 2: Click the “Open Free Account” link in the center of the homepage. You can easily find it. Step 3: Create your own username and password. Step 4: Read the terms and conditions. Make sure that you completely understand and agree with them. Step 6: Give your personal details. Remember that you can’t register unless you’re 18 years or older. Step 7: Once your account has been created, you will be asked whether or not you want to avail the Welcome Bonus. If you do, click the Welcome Bonus link and follow the instructions given to you. If not, click Continue. Step 8: Create your first deposit and start playing. Once you’ve made your first deposit, then your account is already activated. If you want to get the welcome bonus, be sure to choose the bonus before you make your deposit and activate the account. Once you have digital copies of the documents, upload them here. Remember that the maximum file size allowed is only 2MB. Also, please hide the 6 middle digits of your credit card. Just show the first and last 4 digits. Your documents will be checked by ComeOn team within 24 hours. So, you’ve forgotten your login details. Don’t worry; that’s perfectly normal. To retrieve your password, just click the Forgot Password link at the top of the website, just below the login text box. Then, provide your username and e-mail address. You will then receive a new temporary password through e-mail. Use it to log in to your account and create your new password. If the Forgot Password service is not working, you can contact the customer service directly. Just be sure to provide your name, date of birth, address, and phone number. You will soon be given a temporary password within 24 hours. The website has one of the most straightforward and user-friendly interfaces you can see. Navigating around their pages is quite easy. Even if it’s your first time in a bookmaker site, you’ll have no problem jumping from a pre-match to a live betting market. Moreover, their pages aren’t filled with promotions and offers, which is good because it makes their site cleaner. They have successfully use simplicity to their advantage. On the other hand, the site can be slow at times. Also, it only provides American odds and odds in the decimal. The fractional odds are not yet available. What you can expect from ComeOn is a straightforward sportsbook. That means that there will not be a lot of features. This can be seen as a weakness. But it can also be viewed as a strength as you will be able to focus on what you really ought to do. The betting margin in ComeOn is not bad, but it’s not the best either. You can have over 6% in the football market, but other markets will only over up to 5.5% as a betting margin. The maximum winning is £100000 per day. ComeOn is also not the greatest sportsbook. Its markets are limited. The most famous markets it has are tennis and football. Its horse racing options are limited, too. It doesn’t have greyhounds. If you’re looking for a future market, you have to dig their sportsbook. Overall, their sports betting is not bad. However, it’s not spectacular either. It would be a solid platform to begin betting, but it will be a long time before it can compete with other major bookmakers. The biggest thing that saves ComeOn sportsbook is perhaps their Asian Handicap betting offer. ComeOn offers a decent welcome bonus, which applies to both sports betting and casino. They will give new players a 100% deposit bonus, which is equal to the value of up to €25. All you have to do is to open an account and take the promotion with your first completed deposit. The bonus is valid for both Sportsbook and Casino. In order to withdraw the bonus, you first need to complete the wagering requirements. In the Sportsbook – you must wager the deposit and bonus amount 6x times with combo bets at odds of at least 2.00. In the Casino – you must wager the deposit + bonus amount 35x times. You only have about 30 days to activate and use the bonus. Deposits made through Neteller, Skrill, Webmoney, Paysafecard, and Ukash are not included in the offer. ComeOn offers live in play betting which allows you to switch from one sports to another to see what’s going on. It offers a number of markets. Of course, the bigger the game (like football leagues), the more markets you’ll find open. The in play betting is straightforward as well. You can find a graphic that depicts a flow of action you can follow. You can also filter the live markets you want to focus on. There are links to statistics to help you decide where to put your bet. Live results are running well and there’s an event overview you can use. You can also switch to Asian view and Event view. The Asian Handicap betting feature is of great value among punters. ComeOn is not known for its live stream option mainly because the feature is not yet maximised. However, for faster live betting, they do allow you to watch what is happening live on the Live betting section home page. ComeOn offers a few horse racing markets. However, it can’t compete with other bookmakers in this area. They don’t provide Greyhounds either. So if these are what you’re looking for, then ComeOn is not for you. With ComeOn’s cash out feature, you can close the bet you’ve made before the game is done. This is done in an attempt to help you minimise your losses. The cash out option is available in combo and single bets. However, you can’t use it in tricast or forecast bets, bets using free bets token, or system bets. Cashing out is simple. Just go to My Bets and click the Cash Out button. However, cash out offers are not always guaranteed. Only successful cash-outs will be credited to your account. ComeOn casino is powered by NetEnt software, an emerging leader in the online casino market. It offers more than 100 casino games including a huge selection of classic slot machines and video slots. With so many options, you’ll surely not get bored with it. It also has a wide variety of table games including 24 different kinds of blackjack. In terms of the quality of the games, it can easily surpass other online casino sites. The games are highly creative. Whether you’re looking for quality craps, roulette, poker, and other speciality games, ComeOn casino is the place to go. Even if the live casino gaming feature is a relatively new market, ComeOn has been slowly but steadily developing a good approach in their game offerings. The live casino also offers a lot of games including three-card poker, Texas Hold’em, Baccarat, Blackjack, roulette, and more. There’s a handy menu that you can use to jump from a regular game to a live game quickly. Once again, ComeOn stays true to their No Einstein policy, so they have designed their games with simplicity in mind. And since the games are developed by Microgaming, you can be sure that you’ll have extra fun gaming experience. HD cameras used to ensure that you have a realistic experience. Unfortunately, ComeOn does not offer any virtual sports yet. So, if you enjoy this feature, this online bookmaker is not for you. You are given a lot of deposit and withdrawal options at ComeOn. Mastercard and VISA are still the top options. However, there are also several other e-wallets and banking options that you can use. To be mobile friendly, they also accept payments that you can do with just your phone. ComeOn players can easily switch from their desktop to their smartphone. Their site and app both have a wooden header with grey, green, and charcoal buttons. The mobile version lacks the semi-transparent windows that feature a football pitch backdrop, but other than that, the design is basically the same. Navigating ComeOn app is simple, you can find the list of their markets on the left side. The popular coupons are at the top of the screen. The centre shows highlights including that of live betting. The right side features a betting slip. At the bottom is ComeOn’s Twitter feed. ComeOn mobile is powered by SBTech, and it can load quickly even with just a wi-fi connection. You easily browse through events by scrolling down the page. ComeOn is under “Comeon Connect” which is known for being friendly, simple and fun. ComeOn affiliate program has high conversion and retention rate. If interested, you can sign up to work with them. Once your application is approved, you will be provided with landing pages, banners, and customised forms to increase your conversion rate. You will also be supplied with free-money games, branded screenshots, and XML feeds which you can embed on your site. The commission rate with ComeOn is 25% > 50%. The customer support of ComeOn is one of the things players often complain about. For one, they are not available 24/7. Their live and e-mail support are only available until 9pm for live chat and 9:30 pm for e-mail support every day. Moreover, they don’t have any telephone support. On the other hand, when available, the company’s online live chat portal and e-mail support deliver quality service. The customer support is available in English, Spanish, Serbian, Norwegian, Finnish, and Swedish. They also have an extensive FAQ page, which you can always use when in trouble. Visit their FAQ page here: www.comeon.com/support/ and type in your question in the given text box. You can get updates from ComeOn from their Twitter account (@ComeOnPulse). If you have any concerns, you can send them an e-mail at support@comeon.com. You can also chat with them live here. For FAQs, you can visit this page: https://www.comeon.com/support/. Where is the head office located? The main office of the company is located in Malta, and its address is 3rd Floor, Spinola Park, Triq Mikiel Ang Borg, San Ġiljan, Malta. See the location in Google Maps for better experience. ComeOn has perfected the basics of online bookmaker platform. While they focus more on their poker and casino sections, they do have a solid sportsbook, too. Their simplicity is their greatest strength. Including the Asian handicap betting option is also a good move. However, there are not a lot of markets, and their services need upgrades. All in all, ComeOn can be considered an above average betting platform. But they are so far from being the best yet. For now, they deserve to get a 8.5 rating.